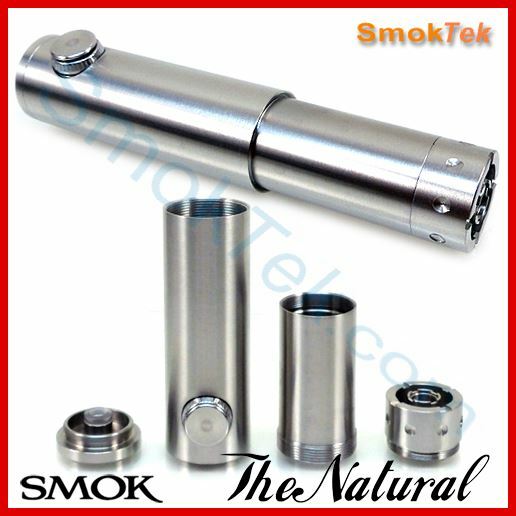 The Telescoping Natural mechanical APV by SmokTech accepts 18350, 18500 and 18650 protected and IMR batteries. 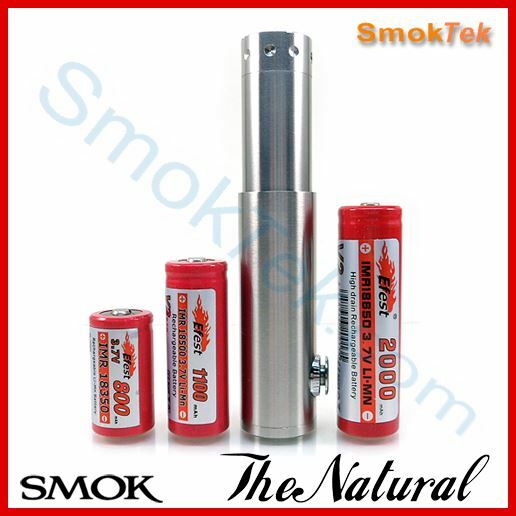 This simple and reliable side button design has a telescoping tube that can be screwed to any length to accommodate different sized batteries. It works perfectly with the KICK with 18490/500. 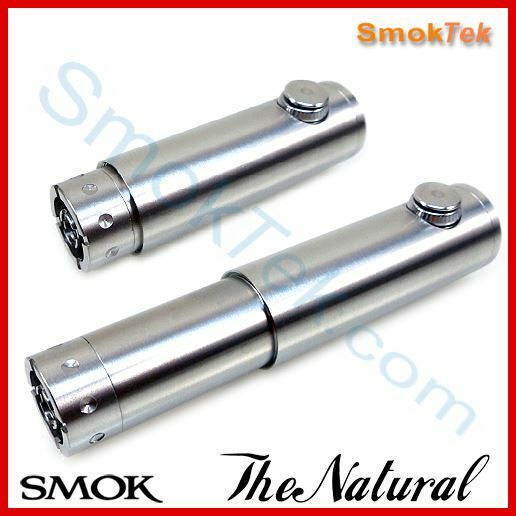 It is machined extremely well with polished stainless finish. The mechanical fire button on the Telescoping Natural is located at the bottom side of the unit and is quite comfortable to use, requiring little pressure to activate it. It also has a knurled nut to lock it in place so the unit does not accidentally fire.